Flatliners Pest Control in Las Vegas, Nevada is the place to call for fast and effective pigeon control. Our experts will handle your pigeon infestation safely and efficiently. We can also provide you with preventative measures to help keep them from returning. Yes, pigeons are those iconic birds that flock around the kindly old lady at the city park, waiting for a few crumbs of bread, but did you know that pigeons can also be quite destructive? Not only are pigeon droppings messy and disgusting, but their acidic nature can also stain and erode any underlying surface. This means that those ugly splats on your car or backyard deck can eat away at the paint, causing significant damage. To make things worse, pigeon droppings have a tar-like consistency making them difficult to remove. When you call the experts at Flatliners Pest Control, we will get rid of these destructive birds, saving you time, money, and grief. Pigeons will continue to harass your property persistently if they have access to food, which they pick up off the ground. They will just keep coming back to your location until all the food is gone. They will nest in your roof, chimney, gutters, fences, antennas or even in your wall tops. Usually, the birds will perch on a vantage point to look for the food on the ground, so adding pigeon spikes or netting is an effective way of discouraging this roosting pattern. In addition to being a messy nuisance, pigeons can be hazardous to your health. Viruses can be transmitted by insects and mites that are found near nesting areas and bird droppings. Dried feces can be sucked into your HVAC system causing health risks to you and your family. Harmful bacteria can be found in bird feces and can transmit disease to humans when they inhale the bacterial laden dust. Give us a call and stop the problem before it starts. Pigeon droppings attract pests such as rats, mice, and flies. They chase other birds away from feeders. Pigeons carry the threat of diseases. 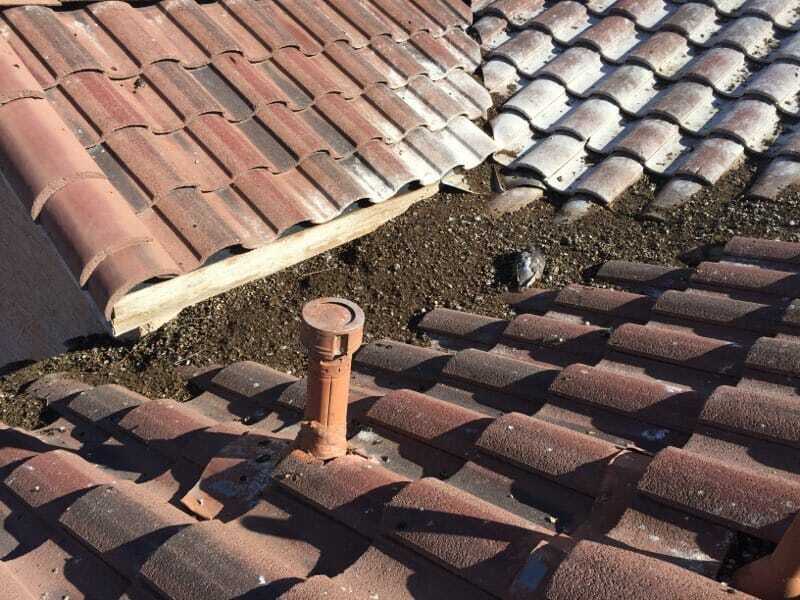 Pigeon nests can clog gutters and cause roof damage. Pigeons are heavy breeders and difficult to relocate. We aren’t like other companies that rely on locking customers into long-term contracts with high cancellation fees. We are a certified Bird Be Gone installer. There are no long-term commitments with us. Our experts will get rid of your pigeons by using high-quality products that are safe, effective, and long-lasting like pigeon spikes and protective netting. Our results speak for themselves. If you’re looking for the best pigeon exterminator in the Las Vegas area, we invite you to contact us at Flatliners Pest Control today. Don’t waste your time on trying to do it all yourself only to find your vehicles and property covered in droppings day after day. We’re here with solutions that are not only environmentally safe but safe for children and pets as well. We’re your Vegas Valley pigeon control pros.